Spend the 30th (Thu) surrounded by wildlife at Grand Teton. Spend the 11th (Tue) exploring nature at Fairy Falls. The adventure continues: take in breathtaking views at Grand Canyon of the Yellowstone, contemplate the waterfront views at Yellowstone Lake, explore the striking landscape of Yellowstone National Park, and take in the natural beauty of Grand Prismatic Spring. 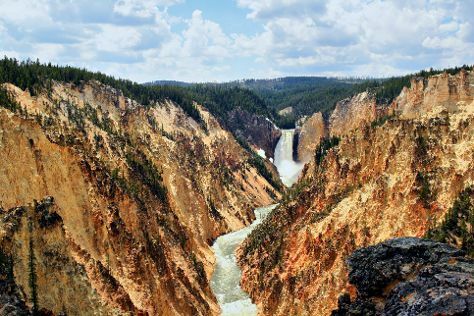 For maps, where to stay, reviews, and more tourist information, use the Yellowstone National Park online trip planner . In May, daytime highs in Yellowstone National Park are 13°C, while nighttime lows are -3°C. Wrap up your sightseeing on the 23rd (Sun) to allow time to travel back home.